You will then need to widen the columns to see all the information. Delete the columns you don’t want and then you are ready to print or share the list with others! Perform your searches until you have the results you want on the screen. Select List, Export from the Worldox menu. You will be prompted for the location of the file. This file will be stored on a disk on the server, not within Worldox. Usually, Worldox opens to your My Documents folder but you can place the file wherever you want. 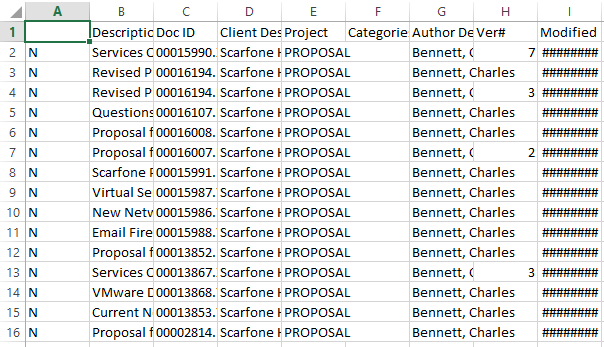 Select Open Target File to open the file in Excel. 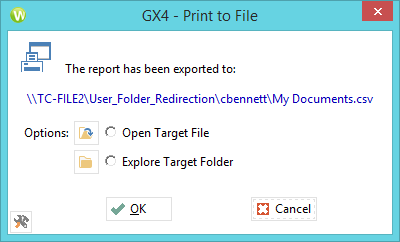 Select Explore Target Folder to open the folder containing this file. For example, if you are in Estates and have a date that a Will should be reviewed in the Worldox profile then you can run a search on that information to produce such a list. Another example, you may be looking for a precedent and want a list of all the potential ones that meet your criteria. Perform your search and obtain that list. You can then extract that to Excel and share it with others. In fact, anything you can search for in Worldox can be extracted to Excel. Worldox is not a traditional database program but it does have some database capability. You can search for information and then move that information into Excel for further processing.